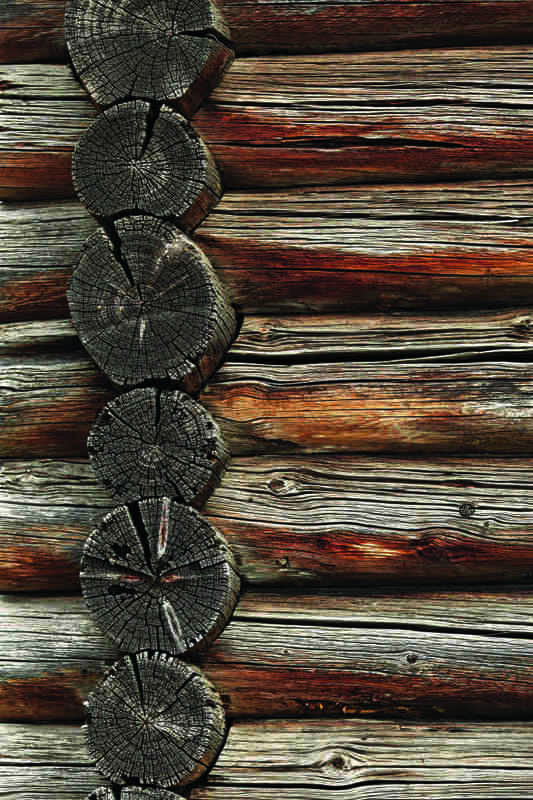 Your goal is to protect your log walls from moisture infiltration, air infiltration and heat loss. Here are the key things to look for while inspecting your log walls. Cracks (checks) in outside logs, particularly upward facing ones 1/2-inch and wider on walls without adequate overhangs to protect them from rain should be properly filled. Install a tightly fitted piece of foam backing (available in thicknesses ranging from 1/4-inch up to several inches. Push the foam backing down approximately 3/8-inch below the surface of the log to allow the thickness of the filler. It can then be troweled with a 3/4-inch-wide chinking knife to provide for a neat and proper sealing of the check. A good wood cleaner can help remove watermarks, particularly on unstained wood, as long as they’re on top of the stain and not embedded in or under it on bare wood. More important is to find out where the water is coming from and resolve the source so no long-term water infiltration leads to potentially damaging rot. 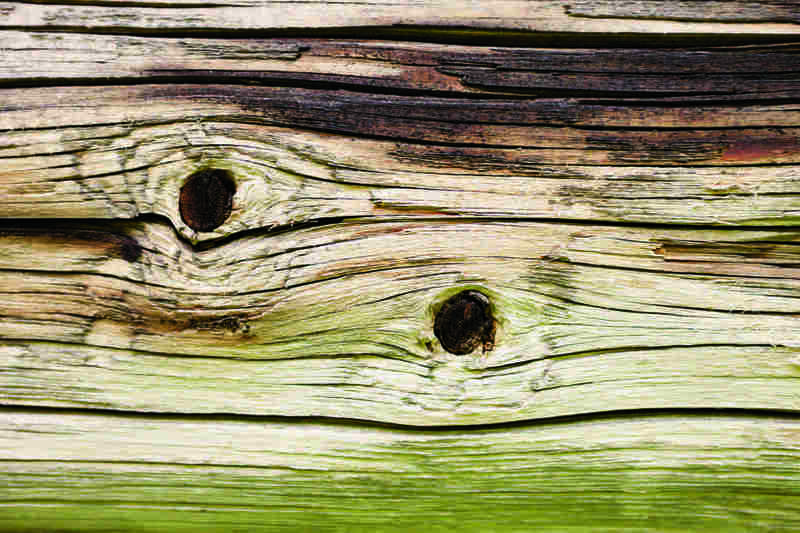 The sun degrading the stain and the top wood fibers of the log causes faded finish. If it appears you have no stain left on areas of the logs, this is an indication that it’s been several years since the original stain, or any subsequent touch up, has been done. The degraded area of the log can be pressure washed, sanded or buffed (with an Osborn brush) to help remove the top microscopic layer of wood, which will also help remove mold, mildew, the sunburnt surface or other topical contaminants. 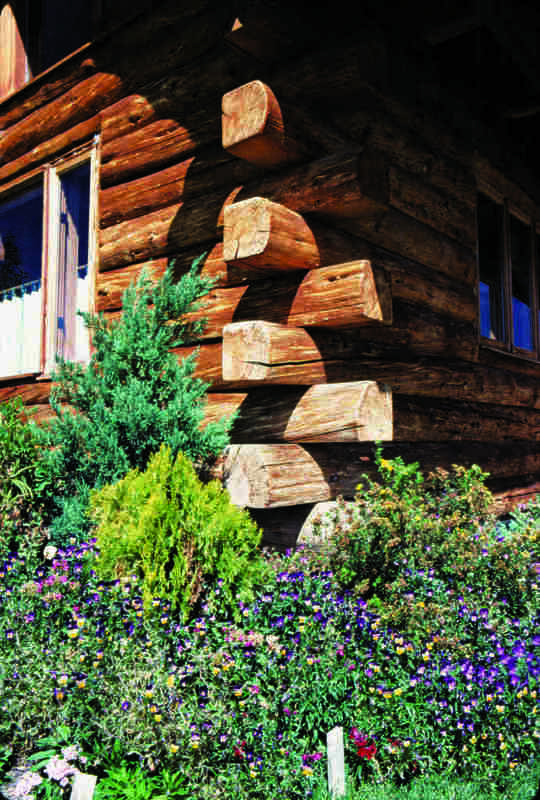 After allowing ample time to dry, if pressure washed, which varies tremendously depending on temperature and humidity, new stain can be applied where needed to help blend in to give your log home a protected, appealing appearance.